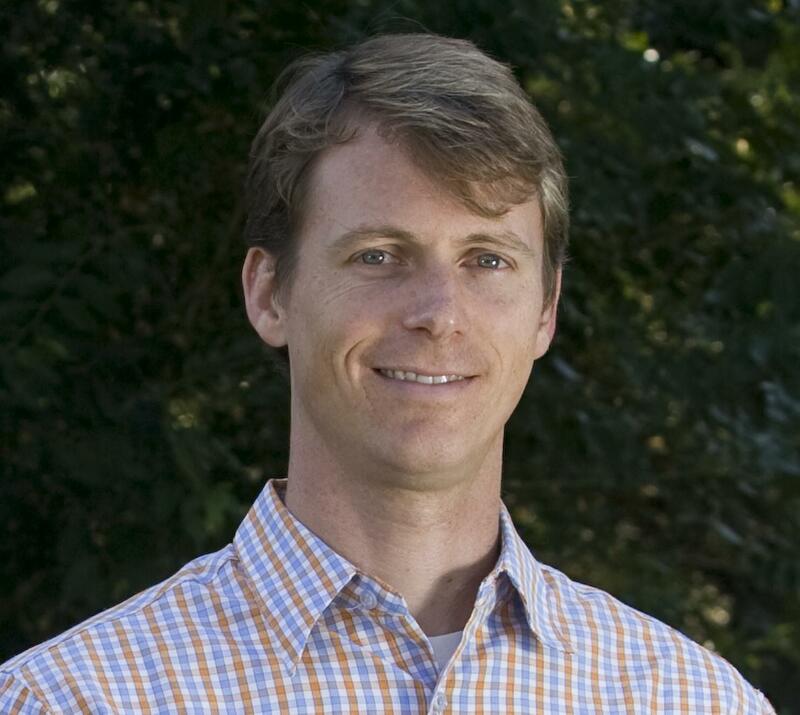 Blake Jones is Co-Founder, President and CEO of Namasté Solar. Blake began his career in the oil industry but left the industry to dedicate his life to propagating the use of renewable energy. In 2001, he moved to Nepal, where he spent three years implementing solar, wind, hydro, and electric vehicle technologies. In late 2004, he returned to the United States to co-found Namasté Solar, which has become Colorado’s leading solar installation firm. On January 2011, Namasté Solar transitioned into being an employee-owned cooperative. What were the origins of Namasté Solar? We started at the end of 2004. There were three of us who wanted to start a solar company. We were really passionate about solar power. We were also really passionate about doing business in a different way. We all intuitively believed that there was a better way to do business than the conventional norm and we wanted to prove it. We felt that the only way to do that was to create a sustainable company that incorporated our ideals. When solar energy was really starting to take off as the public and different governments around the world started providing support for solar, and the technological advancements were starting to bring the costs down. The timing was right for us to start the company. Could you say a little bit about two other co-founders? Both were friends of friends. One had 10 years in solar experience, which was really rare for that time. He is really technically competent. We shared the same values. It was a perfect fit. The other co-founder didn’t have solar experience, but understood marketing really well and had worked and lived in the Boulder-Denver area for 20 years. I had just come back from working in Nepal for three years and learning about small businesses. We all worked very well with each other and were closely aligned in our values. It was a great founding trio. Prior to helping start Namasté Solar, you worked in the oil and gas industry and then shifted to work on solar, wind, hydro, and electric vehicle technologies in Nepal? What did you learn, positive and negative, from those experiences and how does it inform your work at Namasté Solar? Working in the oil industry, I experienced a lot of its benefits first hand. There were huge budgets. There were amazing, talented, smart people. There was cutting edge technology. They were really exciting projects to work on. I learned so much and met so many wonderful people. It is such a big industry and it is so profitable. It is amazing to see the things that it can do. That is also some of the downside. The margins are so high and the money involved is so great, that money was the number one priority. Sometimes I saw people mistreated – they were secondary priorities. The environment as well: for example, it was often more cost effective to dump something than it was to properly dispose of it. I also got to see first hand that oil makes the world go around. It is a source of tremendous power. Only certain countries have oil. Only certain companies control it. And it leads to a lot of economic and power disparity, socioeconomic problems, geopolitical problems. It is the source of a lot of conflict, definitively lots of geopolitical disputes. It is a double-edged sword. There are a lot of bad things that come from oil. One of the things that inspired me to get into renewable energy is that I want us to have a more balanced energy portfolio. We’re too dependent on fossil fuels and I think that overdependence is risky and unhealthy. Right now renewable energy is highly underutilized relative to the benefits it can provide to the environment, to our society, to our economy, and to public health. I like that you cannot monopolize, embargo, or control the sun. You said you want a balanced portfolio. So that means you wouldn’t want 100% of our energy to come from solar power. No, I wouldn’t want it all to be one technology or one source. A well-balanced energy portfolio is important. I would not advocate for replacing our overdependence on oil with an overdependence on solar. I want 20% from solar, 20% from wind, 20% from fossil fuels, etc. There is no silver bullet to our energy challenges, there is only going to be silver buckshot. Could you discuss Namasté’s early development and explain how the organization has changed since your company’s founding in 2004-2005? Were there key stages of development? What were some of the key changes you made along the way? We’ve gone from three to 100 people. We started with our own version of employee ownership, a very unique form, where we invented our own wheel. It was based on one-person, one-vote. Then two years ago, on January 1, 2011, we officially converted into an employee-owned cooperative, also called worker cooperatives. We started the company thinking we could never bring in external investors because it might compromise the way we run company. Later, we decided we could bring in external investors if we found the right ones and didn’t give up governance or control. So, we recently just started selling a class of non-voting preferred stock to external investors. We have made a number of changes in governance along the way. When we grew to be 15-20 people, we changed from consensus (where everyone had to affirm decisions) to consent (where there had to be no thumbs down, but people could abstain), When we reached 30-40 people, we changed from consent to democratic decision-making by either a simple majority or super majority, depending on the issue. Those were pretty big evolutions for us. One of the issues that helped initiate a switch from consent to democracy is that we wanted to rebrand. We realized a logo is a very subjective thing and it is very difficult to reach consensus or even consent. When we were around 15-20 people, we also started to create committees. It is similar to how it works in the Senate or Congress. When a new bill is introduced, it is sent to a committee for analysis and deliberation and then brought back to the group for a vote. We started doing that and it really increased the effectiveness of our decision-making. For example, not everyone is interesting in marketing, finance, and so on. So you can let the experts and those non-experts who are interested in the issue kick it around and bring back some options for the whole company to vote on. We also have adopted what we call “empowerment votes.” With these, a committee is empowered to decide what to do within a given budget and reports back to the group afterwards – that was another important evolution for us. We have also changed our compensation practices. We all used to make the same salary. Then we began a process of stratification whereby people with different levels of experience and certifications and levels of responsibility make more or less. We evolved to have a 2:1 cap on highest to lowest. That evolved to 3:1, as we grew larger. Now it is 4:1. So, as we’ve grown bigger, we have increased that ratio but we’ve kept it far lower than the industry norm. For us those were very big decisions. Another change we’ve made is to our charitable giving policy. We used to give one percent of our revenue regardless of profit away to local charities. Now it is 20 percent of our after-tax profit, so that the community, as a stakeholder, couldn’t potentially benefit so much more than our other stakeholders if we had a bad year. The good news is that we’ve been profitable every year since 2005, which was our first year, but we wanted to change that policy before we ran into a potential problem. One last major change I’ll mention is in our board structure. We used to have an internal board where the board consisted of five co-owners. Just last year, in 2012, we increased the size of the board to 7 people and added two external directors, in addition to the five co-owner directors. What is the impact of Namasté Solar in terms of installations and business volume? We range from $15 to $30 million in annual sales. We have installed solar electric systems on more than 2,000 homes, businesses, and institutions throughout Colorado. That’s more than any other company has installed in the state. It totals more than 20 megawatts of generation capacity. Could you discuss how the solar industry itself has evolved since Namasté was founded? It has really exploded since the early 2000s, both worldwide and in the United States. It has become a multi-billion industry. There are over 120,000 people working in the solar industry in the United States – in some ways our company’s growth is very representative of what happened to the solar industry in the United States and worldwide. The cost of solar has decreased dramatically. The cost of installing a system that has decreased by 60-70 percent and this is because of a couple reasons: 1) economies of scale due to mass production volumes2) technological improvements with manufacturing and overall process improvements with the actual installation of solar systems. There has also been greater public awareness of solar among customers and permitting offices and building inspectors. And so the industry has really matured a lot – become more efficient, become more streamlined. And I think we’re still scratching the surface. We still have a long runway – a lot more potential to decrease costs, increase efficiency, and improve the technology. I also think that there is a growing movement towards a different type of company. Employee ownership is on the rise. Democratic workplaces are increasing. Multi-stakeholder companies are increasing, like B corporations. Younger employees are demanding more transparency and democratic workplace practices. That is a great thing as well. We are passionate not just about solar but also about doing business in a different way, in a more healthy way for the economy and society. I don’t think I can say the same thing about worker cooperatives yet. The cooperative economy is huge in all categories, except worker cooperatives. We would like to be a part of growing the community of worker cooperatives. So that more companies start as worker cooperatives or convert to worker cooperatives. Worker cooperatives are just one type of business model. There are lots of different ways to practice employee ownership and practice workplace democracy and transparency. We support them all, but we would like to see the worker cooperative movement grow too. What kind of a background in terms of education and training do you need in order to work at Namasté Solar? We have people from all types of backgrounds. It helps if you have skills that are transferable to the solar industry. If you have electrical knowledge—such as an electrical license or engineering degree, for example — that is desirable. We also hire engineers in general. If you have a trade background – carpenters, steel workers, or trades people — they have valuable skills. People who are involved in technical sales are also valuable. People from construction companies tend to have a lot of transferable knowledge. That is just on the solar side. We have a lot of people who didn’t have any solar experience but the industry has been booming – if you have one year of experience you’re a veteran. As for being a cooperative, it helps when people come from collaborative backgrounds. We look for people who measure their happiness holistically, not just in terms of a paycheck. Our company measures its profit and success not just in terms of our bottom line, but also in terms of our contributions to the community and our impact on environment, the level of employee satisfaction, and so on. We also like employees who think long-term. We prioritize long-term over short-term thinking. We want employees who plan to be with the company long term, so their thinking is aligned with the long-term thinking of the company. What do you in terms of education and training in the cooperative aspect of the business? Each hired employee goes through a 12-month candidacy period. They then become eligible to purchase one share of voting common stock. During that candidacy period, they have a candidate curriculum to follow. They have to talk to different people in different teams to learn background information, our history, and how we do things and why. There is a curriculum checklist. They have to check all of those line items. They also have a mentor who helps guide them and helps answer questions. The mentor helps connect them to different resources or people who can answer their questions. Also, all of our meetings and all of our books are completely open, and we encourage people to attend committee meetings and team meetings. Then every month we have an all-day “big picture” meeting, which we often call “BPM.” At each BPM, we review our financial statements together, we review our performance against our goals, we have big picture discussions, and we make big picture decisions. That is a great way for people to learn about our culture and how we democratically engage in discussion and decisions. Then we have two retreats per year, where we get away from the normal daily patterns and we go up in the mountains and talk about highest level, big picture strategy and decision-making. And all of those forums create opportunities for people to interact and engage in and foster a stronger democratic culture. At the end of the 12-month training period, is there a vote to enable an employee to join the co-op? Yes, you have to be approved by owners for us to sell a share. Nobody has been voted down. If a person is still around after 12 months, that means we think they are a good fit. We have had two people who decided they didn’t want to make the commitment to be a co-owner. You have to purchase a share and it costs $5,000. You can get a 4-year loan – we want to help people who don’t have access to capital, but we also want it to be a significant financial commitment. That is part of sharing the complete experience of being small business owners. You can’t just share the decision-making and rewards. You have to share the risk and responsibility. We had two people decide they weren’t ready for that yet and that’s OK. You’re not required to be an owner of the company if that is not right for you. How does management at Namasté function? How are managers hired, supervised, and (if necessary) replaced? We don’t call it management. We talk a lot about the difference between leadership and management. It is more leadership than management. Most people in teams are self-managed, but we do need leadership. We call it a meritocracy whereby the people who have earned the trust and confidence of their coworkers tend to be democratically empowered with more responsibility. Leadership does not entail an entitlement to authority, but instead is democratically empowered. Teams will designate their team leaders. How does this work for you as CEO? I’m empowered by the democracy with certain responsibilities, but it doesn’t compare with the authority that a conventional CEO has. Similar to conventional companies, the Board of Directors is technically responsible for holding me accountable. And the co-owners democratically elect the Board of Directors on a one-vote-per-person basis, instead of by stockholders on a one-vote-per-share basis. I also co-chair the strategy team with our vice president. The strategy team basically consists of the team leads – so there is broad representation. The strategy team is not a management team – even though someone from the outside might see it that way. What we are tasked with doing is coming up with our 5-year strategic planning and facilitate buy-in by the teams. It is subject to review by the board and by co-owners at our big picture meetings. How does decision-making work at Namasté Solar? We have 6 levels of decision-making. At the lowest level is the individual level. Individuals are empowered to do certain things on their own – I’m empowered in my job role to give a presentation to the public about our company, for example. There are some things that we can’t do as individuals, like provide discounts. That second level is “peer review” which requires approval from a group of colleagues. The third level is the team or committee level. There are many teams and committees (finance, strategy, HR, marketing, etc. ), which are empowered to address certain issues. The fourth level is the big picture meeting. Above that is the board of directors. And above that, the sixth and final level, are the co-owners – an official stockholder vote by the employee-owners. Sometimes, when we have a new issue, we have to see which decision-making level it belongs in. Sometimes we will kick an issue back down to a committee or team or, vice versa, sometimes a committee or team will kick an issue up to a big picture meeting. Once it is an issue we are familiar with, it kind of gets added to institutional policy or knowledge. For example, if it’s a discount – it belongs at the peer level. And everyone knows that. With a given issue, you can add it to a charter of a committee or team. Sometimes, we’ll change policy too. We’re doing that right now with our credit card policies. We just got our first full financial audit. We had financial reviews before, but it was our first formal audit. And the auditors gave us recommendations. So with credit cards, we are now changing some policies regarding who is empowered to have one, what they can purchase with it, etc. How does profit distribution work? The default is 20 percent of our profit goes to charity, 20 percent goes to co-owners, and 60 percent is retained. The co-owners can vote to change these numbers. Co-owner dividends are based on time at the company during the applicable year – if you’re worked full-time the entire year, then you get the same profit distribution as everyone else. If you were there half the year, you would only get half. What is a typical profit distribution? We’re about to close for last year and we’ll soon be able to determine our profit level for the year. People are pretty excited. But we think per co-owner it will be pretty high. What were profit payments in past years? We reinvested all of our profits for most of the first seven years. One of the reasons is that we had no other sources of capital. The only source of capital we had was new co-owner purchases of shares and retained earnings. We just added a new source of capital by making it possible to bring on external investors (by selling non-voting preferred stock). Now that we have that new source of capital, we have more flexibility to distribute a portion of profits to ourselves. We could have paid ourselves dividends in the past, but then we wouldn’t have been able to grow like we have. The democratic decision was to support the balance sheet and support growth instead of paying dividends. Now that we are bringing in external investors, the default share of profits that will go to employee-owners will be 20 percent. We might have given out $5,000 per person, or something like that, in profit distribution in 2006. But after that we decided to retain all or our earnings because we needed the capital to grow. Shifting gears and thinking nationally, worker co-ops are enjoying new visibility in the United States, in part because of recent films like We the Owners and Shift Change. What do you see as steps that the worker co-op movement needs to take nationally to build on this new visibility? I think we still need more visibility. The movies help. Business school case studies help. 2012 was the International Year of the Cooperative, but it didn’t do enough. We do have some good visibility from the recent films though. I hope that people take that viral and encourage folks to watch the films and post links. I hope people host viewing parties. In terms of building the movement, I think we need to reach entrepreneurs – future entrepreneurs—whether it is in business schools or elsewhere – so that they know cooperatives are an option. When we started, we didn’t know about cooperatives. We didn’t know it was an option. We also need to set a positive example. We hope to set a positive example that you can indeed transition to a cooperative and don’t necessarily have to start out that way. A lot of people transition to ESOPs. We also want companies to transition to worker cooperatives. And we need to have more successful cooperatives. In We the Owners, we’re the only co-op highlighted in that – right now, I can name a bunch of successful employee owned companies. I think we need more examples of successful worker cooperatives to point to. We need highly visible examples that people consider role models. We want people to think, “Wow. Being a cooperative allowed them to be more successful.” We think for ourselves that the cooperative structure is the secret of our success. We hope that other people will see this as well. Books are also important. We wouldn’t have known about South Mountain Company, a successful worker cooperative which has been around for 30 years, if they hadn’t written a book. Hopefully, Equal Exchange will write a book. Hopefully we will too, when we have a lengthier track record. Books are very powerful, I think. And they are a great way to provide examples of better ways to do business, as well as provide encouragement and inspiration. Namasté, in addition to being a worker cooperative is also a “green” business? What do you see as Namasté’s role in building a “greener” economy? How do you define green jobs? I think the business that we do is squarely in the green economy in that we are installing solar systems. But also the way we do business sets a positive example. Our two office buildings are LEED [Leadership and Excellence in Environmental Design] certified. Our main office is LEED Gold. We use plug-in electric vehicles. All of our installation teams use biodiesel fuel. We are committed to a zero-waste program where we recycle 80-90% of our operational waste. We also facilitate personal recycling: Employees can bring in things they can’t recycle at home to our office. And we also are committed to helping our employee-owners to be green in their individual lives. We provide unlimited bus passes for personal use, for example. We are very proactively involved in policy advocacy, so we’re down at the statehouse a lot. We talk to our state legislators and congressional representatives a lot. We support renewable energy, energy efficiency, renewable portfolio standards, carbon standards, and benefit corporation legislation —things like that. I think that is important to do. We need to engage in advocacy for things that are beyond strictly financial interests. There are now trade associations in renewable energy that are getting stronger, Sierra Club types of organizations. Environment Colorado, Green America – those kinds of organizational are great. What do you see as the most important policies that government (be it local, state, or federal) can provide to encourage the adoption of renewable sources of energy like solar? We think more broadly than just the solar energy – we are big supporters of energy efficiency. We are very happy about the CAFE [Corporate Average Fuel Economy or car/truck mileage] standards increase. We like to support general environmental legislation, like green building codes. Those have been really helpful here in Boulder. Water conservation is big here in the West. Renewable portfolio standards have been very effective. Investment tax credits for solar, production tax credits for wind – those have been really important – they have helped level the playing field, since there are so many subsidies for conventional energy. Insurance liability for nuclear power is an example of current policy that enables conventional energy costs to be externalized. We also advocate stopping the subsidies for conventional energy or that externalize their costs. That’s why we support a carbon tax. The production tax credit for wind – it got extended for one more year, but it needs a longer-term horizon. Renewing the production tax credit for 1 or 2 years at a time, that’s not enough to optimize the wind industry’s growth potential. Investment tax credits for solar, which passed around 2008, lasts until the end of 2016. That was eight years. That was a great policy that allowed the solar industry to do more long-term planning and investing and enabled it to hire the people it needed to grow the market. Public policy wherever possible needs to have a long-term outlook. It seemed that there was a big boost that support green jobs in the 2009 stimulus bill. Has that dissipated? How have political shifts affected Namasté’s business? Coming into the economic downturn in 2008, solar was booming. The investment tax credit was strong and there were a lot of state-based renewable energy credits. The ARRA [American Recovery & Reinvestment Act or “stimulus” bill] helped solar and wind to grow by changing the tax credit into a cash grant during the Great Recession. Same amount of subsidy, but in the form of cash instead of tax credits. Overall, the provisions of the stimulus bill really helped. What’s a good next step from here? It would be nice to have a national renewable energy portfolio standard. I think the solar industry in US is going to grow in 2013 and 2014. Of course, we would like it to grow faster and do more. More of the action needs to happen at the state level – half of the states have a functioning solar energy market and the other half don’t. The federal investment tax credit alone isn’t enough. It needs to be complemented with policies at the state or even municipal level. Austin is an example of a municipality taking the lead in supporting renewable energy. Solar is thriving in Austin. Not so much in Houston. The difference is because Austin has supportive municipal policy. At the state level, California is number one and New Jersey is number two. The reasons are the combination of high conventional electricity prices and pro-solar policies. What do you have in mind when you say “pro-solar policy”? A net metering law is one example. If you own a home and you produce solar electricity during the day, you need to allow for the meter to spin backward and forwards at the same rate, at least up to the point where you are producing the same amount as you consume in a given year. There are other forms of pro-solar policies. Some are types of incentives. They can be state tax credits, cash rebates, renewable energy credits, feed-in-tariffs, and financing. Financing is particularly interesting. The city of Boulder has been a leader in this, as has Berkeley, California. Different cities have provided low-cost financing for people to make energy efficient improvements. These are generally known as “PACE” programs or “Property Assessed Clean Energy.” Boulder’s was a fantastic program. Another thing the federal government can do is to address the bottlenecks that slow down the adoption of PACE policies. The idea is simple. If there is a new sewer line that needs to be installed in the neighborhood, a city will put out bonds and they will repay the bond with a property tax assessment. With energy efficiency, it is the same concept, only it is voluntary and by household. I want to put in more insulation or new windows, so I get a loan that is attached to the house. The homeowner will get a loan with a low-interest rate, amortized for 20 years, which is great, because the cash flow is positive. The homeowner, in other words, saves more in reduced energy costs than the cost of the loan. The homeowner will repay the loan through the property tax system. If they sell the house, the loan is attached to the next homeowner’s property tax because the loan is attached to the property. And the city sells bonds to finance it and gets repaid through the property tax assessment, just like it would finance a sewer. It was fantastic, especially in the economic downturn, because people didn’t have equity in their homes. PACE financing really stimulated the industry. But mortgage lien holders got upset – because property tax lien is higher in the pecking order than the mortgage lien. The way these were designed, they were to have positive cash flow, but there was a lot of confusion at Fannie Mae and Freddie Mac. Banks were upset, because they saw it as competition for providing loans, even though they would never lend to people without equity. There was a lot of pressure to stop PACE programs. Fannie and Freddie put a stop to it. We want to get it back on track. If you had to highlight the few key accomplishments of Namaste’s work to date that you are most proud of, what would they be? First of all, being number one in the Colorado market. Showing that our business model does have competitive advantages. We needed to prove that we could achieve conventional business success in a conventional way through the strengths of our unique business model. We are really happy that we have eight years of a successful track record of being market share leaders in Colorado. That helps provide credibility to our model. We are also proud of some of the awards and recognition we’ve gotten, such as best place to work awards or most democratic workplace. They have come from a lot of different third parties. We like those too. It says there is something to pay closer attention to here. It helps get our message out there better than we could do on our own. We are also proud of scaling our model. People said it would be hard to grow and maintain a democratic workplace. We want to be another example like Equal Exchange or Union Cab [in Madison, Wisconsin]. We have done it — so far, so good. We are also happy to have installed over 2,000 systems. And we have donated over $500,000 to local nonprofits. To grow and scale our model without compromising our original values, we had the change our policies and practices, but they are still aligned with our principles. One last thing to mention is that we are a certified “B” corporation. One of the neat things about the B corporation movement is that it forces us to think about how to measure social and environmental impact in a holistic way. We got a really high B score. We were in the top 20 of over 600 B corporations. We’re proud of that, but it also means we’ve still got room for improvement!